Program officially certified by the Council on Occupational Education highlights effectiveness of partnerships between the public and private sectors. Scarborough, ME—Leveraging a highly successful public/private partnership, Northeast Technical Institute’s Manufacturing Technician program provides specialized training that prepares students for a long-term career in manufacturing and helps fill an urgent need to enhance the employer’s competitiveness. The Manufacturing Technician program uses an innovative outcome-based training approach to meet the educational requirements for introducing adult learners to manufacturing careers. Along with boosting skill-attainment for entry level workers, the program also helps employers promote the “coolness” of today’s manufacturing workplace. 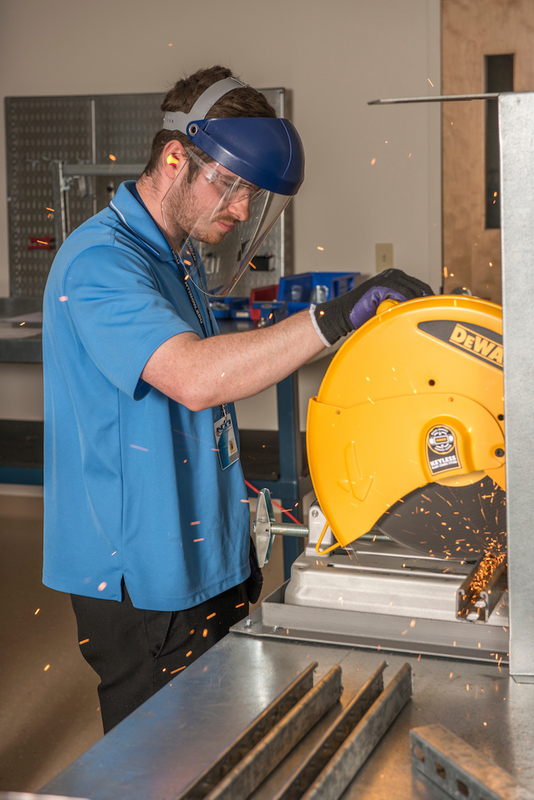 As the nationwide appetite for trade knowledge continues to grow, Northeast Technical Institute works closely with local employers to fill their employment needs and is recognized as a statewide success. Utilizing a high-velocity training model, the 11-week Manufacturing Technician program provides the job seeker with multiple options for employment in higher-wage positions. Employers can take advantage of a consistent output of work-ready talent entering the workforce regularly and with skills above entry-level. Northeast Technical Institute is a service provider for the Maine Department of Labor Competitive Skills Scholarship Program (CSSP), which is intended to provide individuals with access to education, training and support leading to skilled, well-compensated jobs with anticipated high employment demand, to improve the economic well-being of the participants in the program and to provide employers with a skilled labor force. Recently approved by the Council on Occupational Education, the national accrediting agency of higher education institutions recognized by the U.S. Department of Education, the Manufacturing Technician program is offered at the Scarborough and Lewiston campuses. Northeast Technical Institute will offer the next Manufacturing Technician program beginning August 27 in Scarborough and in October 22 in Lewiston.